Karina's Kreations: Stampin'Up All that you are! 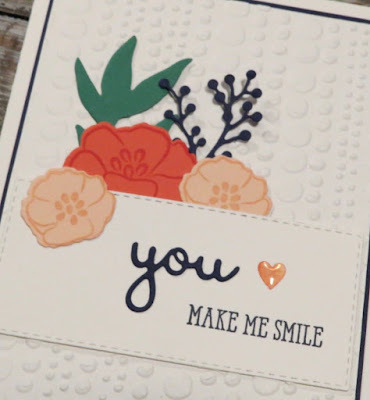 Stampin'Up All that you are! I love when new stamp sets coordinate with existing products that I already own. I purchased the Frosted Bouquet framelits last September and Stampin'Up has a new stamp set, All That You Love that coordinates with these framelits. I created this beautiful card. What do you think? 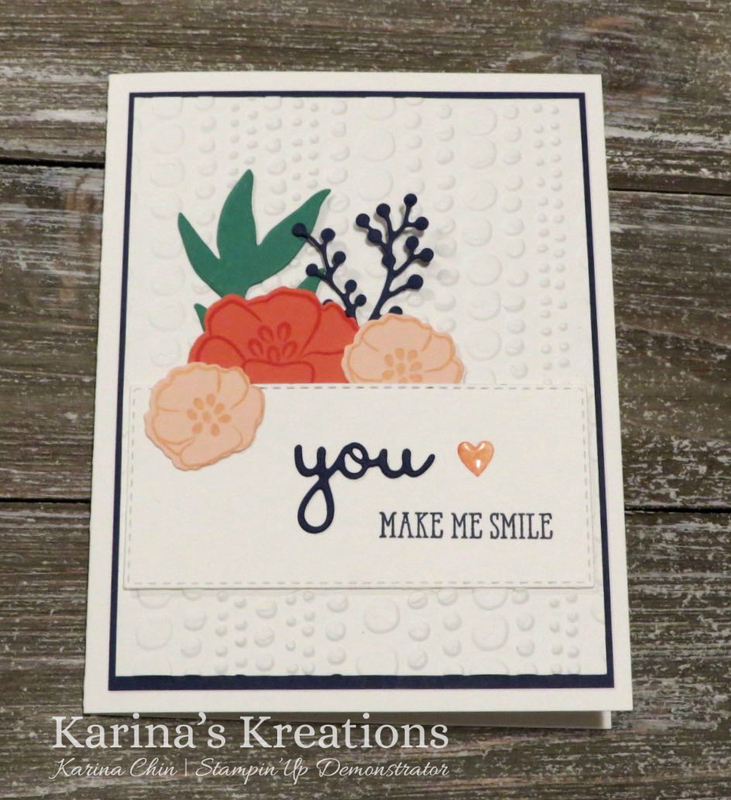 This card also uses the new Rectangle framelits, the Well Said Product bundle, the new Dot to Dot Embossing Folder and Heart Epoxy Droplets. Get the starter kit for $175.00 and get all these product and free shipping and no GST. You will then have a Happy Shopping number and get 20% off all future order for the next 6 months. Get you starter kit here! Click on a picture below to order your supplies.